Halotherapy is an alternative therapy using salt for its anti-bacterial, anti-inflammatory, and mucolytic properties. With the use of a Halogenerator, pharmaceutical grade salt is ground into microscopic particles and dispersed into the air, treating the skin and deeper into the body. By breathing in the salt, Halotherapy helps to treat: asthma, allergies, COPD, respiratory diseases, sinusitis, coughs, colds, viral infections, etc. Salt is also beneficial in treating skin issues, including: acne, psoriasis, eczema, and neurodermatitis. 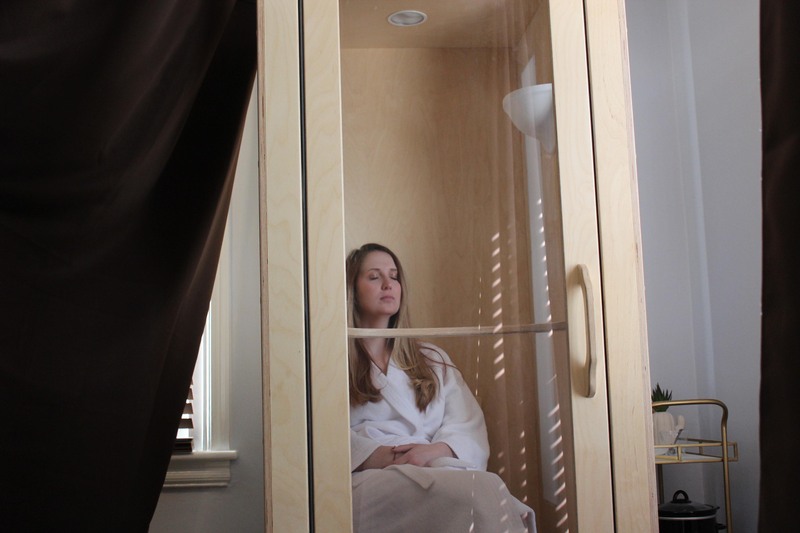 Halotherapy not only helps with physical ailments, but those of the mind as well. Salt naturally produces negative ions assisting in the relief from stress, headaches, and depression. This therapy helps to increase energy, mental alertness and overall well-being. Because the salt concentration is extremely high in the Booth, effects can be realized after a quick 15-minute session.